and it will once again be our chosen 'Charity of the Year'. CHSW is currently the only provider of specialist hospice care for children in the region. It offers much needed support for youngsters with a life-limiting or life-threatening condition and their families at its three hospices - Charlton Farm in North Somerset, Little Bridge House in North Devon and Little Harbour in Cornwall. 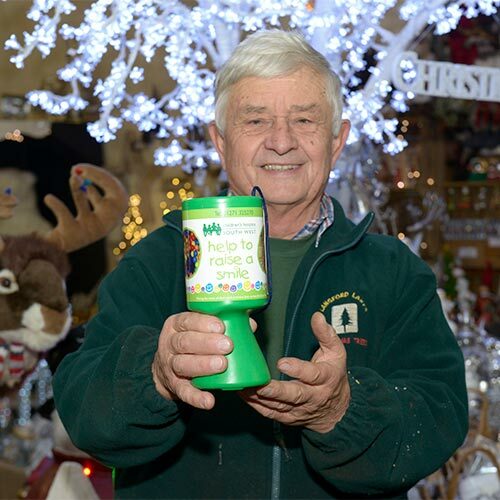 We raised £3,662 for the charity in 2018 by providing visitors to our farm, who came to collect their Christmas trees and to buy decorations, with teas, coffees and mince pies in return for a donation to the charity. We were ably assisted with these efforts by the Wellington Friends Group of CHSW who have been a great help throughout. In 2017, we raised £2,955 for the charity, so we’re delighted we were able to exceed that figure in 2018. We have been raising money for CHSW since 2006 and in total we have donated £23,892.80 to the charity. We're elated to have raised so much money for them in 12 years. Without our customers’ support, this would not have been possible, so a huge 'thank you' goes to them. 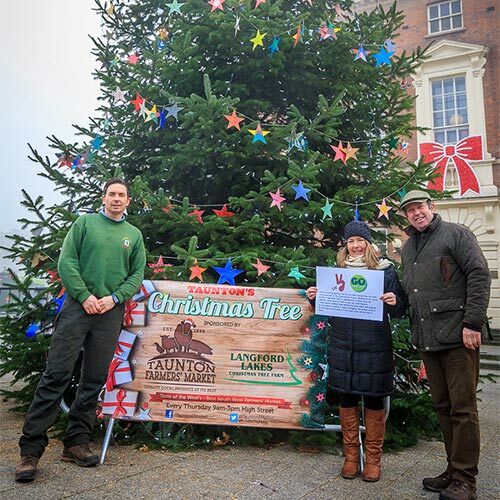 In 2018, we also donated free of charge three large, freshly cut Christmas trees to Wiveliscombe, Wellington and Taunton town centres to help them celebrate the yuletide. It is all about us giving something back to the people in the local area who support us. 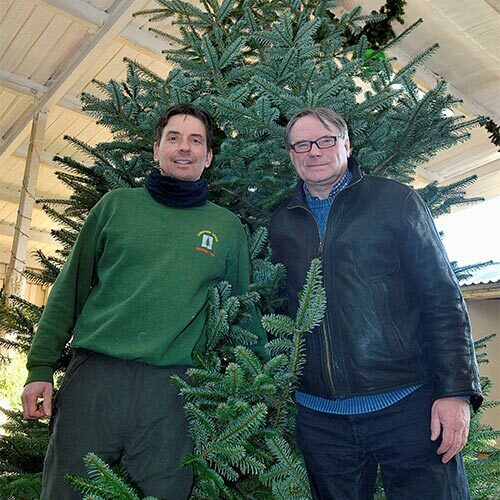 We have supplied a tree to Wellington for the past 12 years and trees to Taunton and Wiveliscombe for the past six years. We love to see our trees standing tall in each town centre and the joy they bring to families who are out and about doing their Christmas shopping. 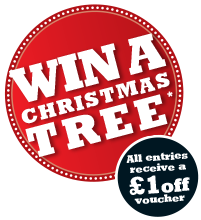 We also receive a number of requests each year to donate Christmas trees to charities in the area. We are happy to donate where possible to help spread the Christmas spirit. Charities in the past who have received one of our home-grown trees include CHSW, SeeAbility, a sight loss and disability charity based at Fiennes House in Wellington and St. Margaret’s Hospice in Bishops Hull.